Powder Brooklyn Leather Gloves in Berry Design with Mulberry Strap beautifully lined stylish ladies glove designed for elegance as well as seasonal practicality. 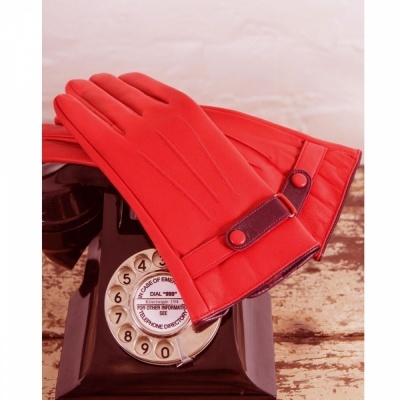 Genuine 100% Leather & Suede gloves in a lovely blended colour choice of Red berry with Mulberry strap. Supplied in a stunning gift box, perfect for a gift.